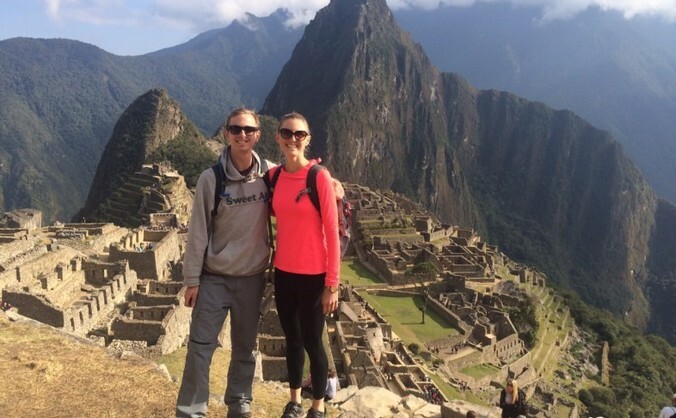 We spent all of August travelling around Peru- it is such a spectacular country! We climbed a bunch of mountains; flew over some really nice lines; marvelled at lots and lots of ruins; enjoyed all sorts of super-tasty local cuisine; and very importantly, visited as many distilleries as we could. Just like Chile, Peru’s national drink is its national Pisco. While made from the same basic ingredients through the same basic process, Peruvian Pisco doesn’t taste much at all like Chilean Pisco. Just like Peruvian food doesn’t taste much at all like Chilean food! We’ve lived in Chile for over 6 months now and while we love the country, we don’t love their version of most foods. You see Chilean’s like their food ‘suave’; they love soft, white, creamy, sweet and gently-flavoured food (stodge). Our month in Peru, on the other hand, was almost more exiting for our tastebuds than it was for all of our other senses combined! There were chillies and spices and pepper and textures and fresh herbs that were, almost everywhere we ate, combined to create epic explosions of flavour on our taste-buds! I’d be happy to return to Peru just to eat! Chilean Pisco is smooth and not unlike vodka before it is aged in oak barrels to make it even smoother. It is then enjoyed with super sweet soft drinks as a “Piscola” or in a “Pisco Sour” cocktail (which would more aptly be called a “Pisco Sweet”). Don’t get me wrong, there is very little to find offense with in Chilean Pisco, there just also isn’t that much to get excited about! The purity of a distilled product is largely dependent on the effective height of a still and the amount of area available for contact with copper. The Chilean still provides the vapours with lots of opportunities to purify themselves as they travel up the column, but the necks of these Peruvian stills slope downwards which means everything that evaporates during the distillation ends up in the final product! Crazy! (Apologies for getting too nerdy-engineer here). Anyway, the result is a really interestingly flavoured and textured spirit that clearly reflects the type of grapes that it was made from and how they were fermented. We enjoyed the differences so much that we’d recommend drinking them without mixers so that you can really appreciate the subtleties of what is arguably the world’s original Pisco. Speaking of old pisco distilleries, one of our standout experiences in Peru was visiting the real cream of the crop of Pisco distilleries, which is also likely be the best distillery in all of South America. 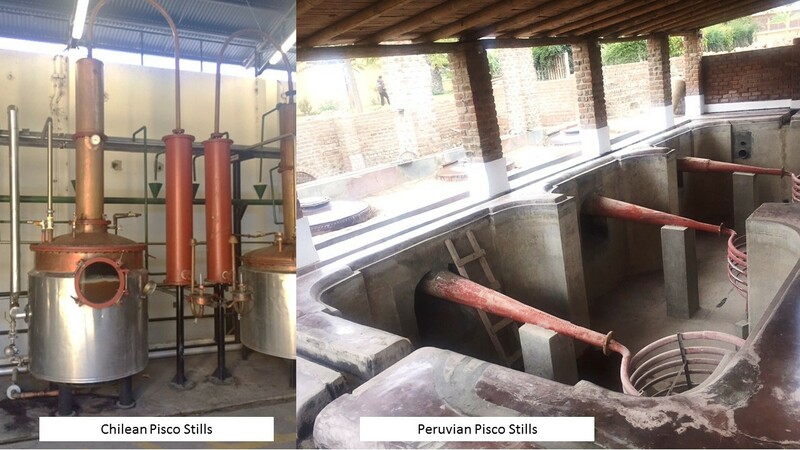 This guy with a lot of money decided to rescue Peru’s oldest distillery and the results are INCREDIBLE. They’ve renovated every aspect of the original hacienda (ranch) and distillery at the same time as tastefully integrating modern state-of-the-art equipment. 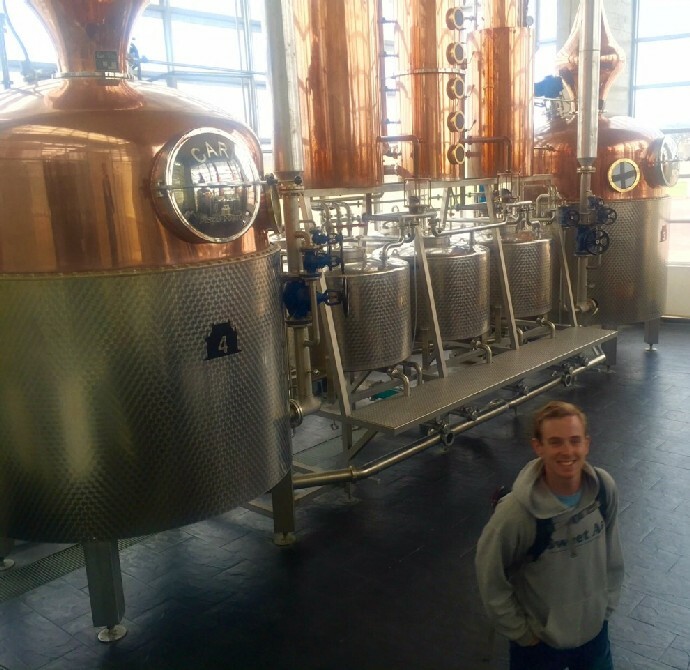 Every detail of the distillery has been designed to produce a Pisco to standards that would rival the most sophisticated whisky distillery, including 4 beautiful copper stills made by world-renowned German brand CARL. You really could taste the difference and we struggled not to buy every bottle they had in the shop!